Now I know how my erstwhile colleagues at our sister publication Motor Trend feel when they test drive a $1,770,000 Bugatti Veyron. It’s not every day that I test a camera that costs as much as a 2011 Challenger and, like the Dodge, there are plenty of options from front to back that affect the “as delivered” price. 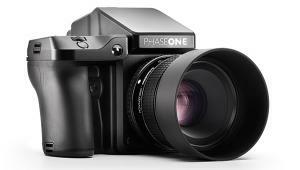 Phase One’s (www.phaseone.com) 645DF medium format digital camera is wrapped in a rounded Porsche-like design, sports German-designed precision optics, and is powered by a 40-megapixel digital back. What’s not to like? Let’s take a look at it from bumper to bumper. 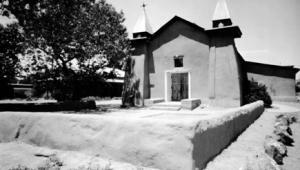 The Ultimate Image was the name of a nine-projector slide show I produced for Jos. Schneider Optische Werke GmbH a.k.a. Schneider-Kreuznach back in the days when people did that sort of thing. 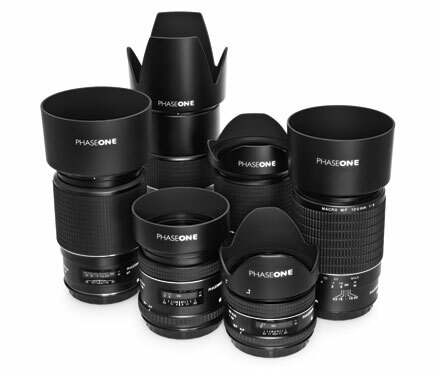 Schneider is known as a manufacturer of premium-quality industrial and photographic optics and Phase One offers three high-performance, autofocus leaf shutter lenses, including the 55mm f/2.8, 80mm f/2.8, and 110mm f/2.8 that were designed specifically for the 645DF. The test camera was delivered with a Schneider-Kreuznach LS 80mm f/2.8 lens with six elements in five groups, so traditionalists might think of it as a Super-Symmar XL but alas it does not bear this honored name. 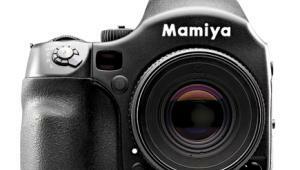 Instead, it’s engraved as “Made in Japan” as are many fine lenses today. 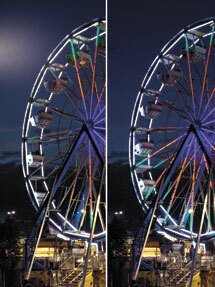 Even though the lens hood was attached to the Schneider-Kreuznach LS 80mm f/2.8 lens when shooting a Ferris wheel at night, I was surprised to get flare (left) from what I am guessing is parking lot lighting. I didn’t bring a gobo to the shoot because I didn’t expect to get flare at night, but there it was. I drafted Mary’s hand and she stood out of camera range (right) shadowing the front lens element to eliminate the flare. Although manual focus can be selected by a thin rubberized ring that surrounds the lens, autofocus is smooth and fast and the leaf shutter lets you sync with flash at speeds up to 1⁄1600 sec. When used with the P 40+ back I tested, the sensor size has a diagonal measurement of approximately 54mm so it’s clearly in the normal lens ballpark. The Schneider-Kreuznach LS 80mm f/2.8 lens has a 72mm front lens thread, so it’s a good idea to spring for a ($65) B+W Skylight filter to protect that $2490 investment, especially when shooting outdoors where anything can happen. 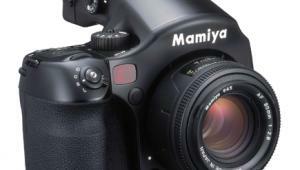 The front element is recessed but even with the included lens hood there’s no promise of complete protection from flare. The Schneider-Kreuznach LS 80mm f/2.8 lens has close focusing to about 27.5” but I decided to make some “macro” shots anyway. 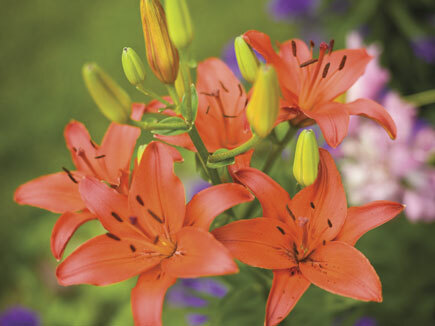 These flowers were captured with an exposure of 1⁄320 sec at f/3.2 and ISO 200. 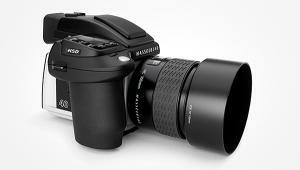 The camera’s lenses are a result of a collaboration between Mamiya and Schneider-Kreuznach, and the Phase One 645DF body was engineered in partnership with Mamiya Digital Imaging. 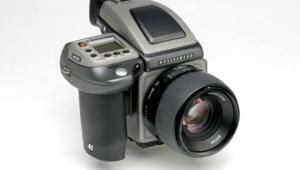 It’s compatible with lenses from the Mamiya 645AFD; you can also use Hasselblad V lenses with an adapter. 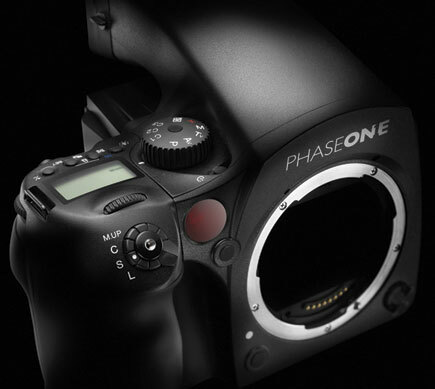 The camera is compatible with digital backs using the Phase One/Mamiya AFD mount, including those from Phase One, Leaf, and Mamiya. 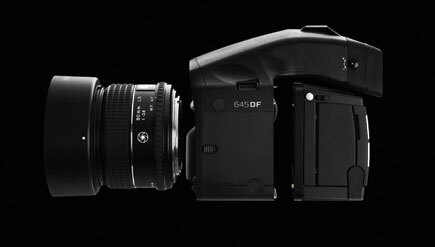 The 645DF uses TTL phase-difference autofocus with three focus points with focus confirmation in Manual mode should you decide to go old school. 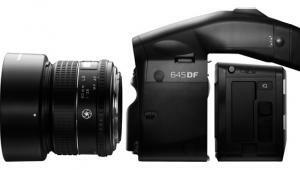 The big deal is that the 645DF has a focal-plane shutter but supports leaf shutter lenses. The focal-plane shutter delivers shutter speeds from 1⁄4000 sec to 60 minutes and the body offers shutter speed bracketing. 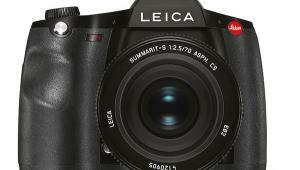 Flash sync is up to 1⁄125 sec but with leaf shutters you can hang it out until 1⁄1600 sec. The 645DF uses TTL metering (average, spot, and auto), has a programmable AEL button, and exposure compensation control from +/- 5 EV. 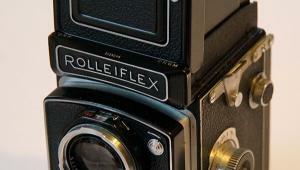 There’s a mode dial atop the camera that looks like what you see on a digital SLR. All your friends are there—M, P, Av, Tv, and X—for those studio flash shots. Twin control wheels, one fore and one aft on the grip, allow you to make adjustments and control manual exposure. 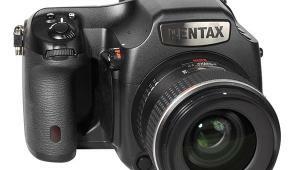 The shutter release is threaded for a real jumping-up-and-down traditional cable release. 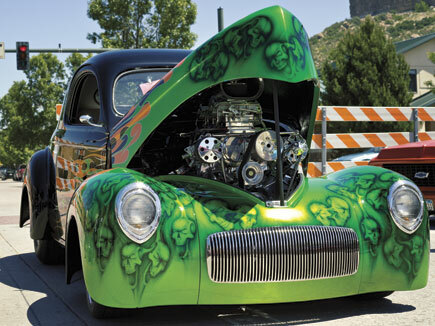 Not seeing what you actually capture makes the Phase One 645DF slower to use for handheld shots made in fast-moving environments, as I discovered while shooting a car show. This image was made using the 645DF’s Program Exposure mode that produced the most amazing detail I’ve ever seen in any automobile photograph I’ve made. Exposure was 1⁄250 sec at f/11 and ISO 200. 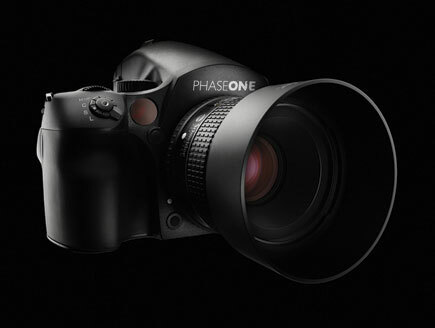 The 645DF was tested with Phase One’s P 40+ digital camera back that delivers 40-megapixel captures. 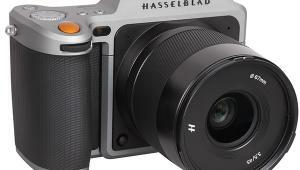 It supports ISO settings from 50 up to 3200, but when you get past 800 the back switches from 40 to 10 megapixels and permits a capture rate of up to 1.8 frames per second (fps). 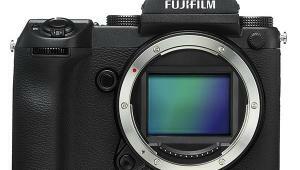 The back offers 16-bit capture and a 12.5 f/stop dynamic range but the big deal is a 44x33mm sensor that’s much larger than the “full-frame” sensors found in high-end digital SLRs. The back may be shot tethered to a computer or using a CompactFlash card in the slot provided on the left-hand side. 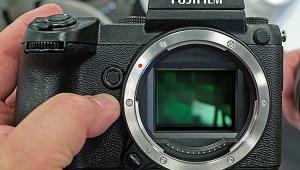 There are four unmarked buttons on the back surrounding a 2.2” LCD that seems smaller and dimmer than those on even the least expensive digital SLR. The unlabeled buttons are used to access menus that may be confusing at first, but you’ll get used to it. 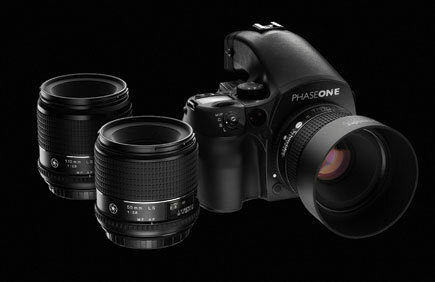 The P 40+ is powered by a rechargeable battery that’s similar to those used in professional video cameras and lasts much, much longer than the six AAs that power the camera body. 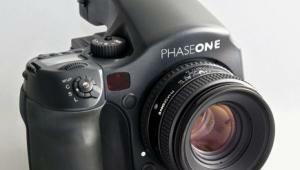 While installing Phase One’s Capture One PRO software is a chore, using it is nirvana for the photo geek. My old friend Carl once said that “Photoshop is not software, it’s a way of life” and if you agree with that then you will love Capture One PRO. 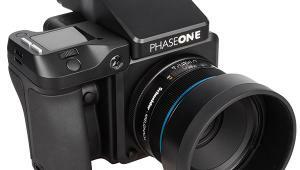 It is amazingly competent software and the best way to extract the maximum quality from images captured with Phase One camera backs. 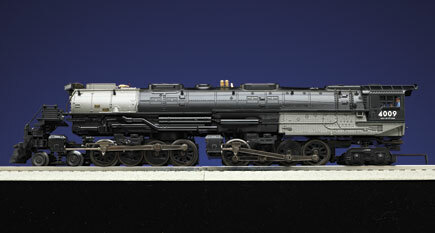 I used the Phase One 645DF medium format camera along with a FourSquare light bank and four Nikon SB-800 Speedlights to photograph a scale model of a Union Pacific Big Boy. There was a reflector placed at each end of the locomotive and one in front to kick light into its drivers (wheels) and then two reflectors were held on either side of the lens to create a sort of “tent” around the front of the locomotive. All that light allowed me to shoot at f/22 at ISO 100. 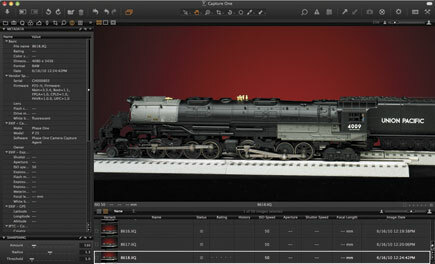 The captured IIQ Raw files are large and varied in size—around 35 to 45MB—but after processing into TIFF files using Phase One’s Capture One software (more later) swell to 120MB, so you’ll need a computer that can juggle these sized files with alacrity. Camera mounts are available that allow the back to be used with other cameras, including the Mamiya 645AFDII/AFDIII, Mamiya RZ67 Pro IID via adapter, Hasselblad H1 and H2, Hasselblad 555ELD, 553ELX, 503CW, and 501CM, Contax 645 as well as wide-angle and technical cameras, including 4x5, ARCA-SWISS, Cambo, Linhof, Toyo, Sinar, Plaubel, or Horseman via a FlexAdaptor.